Governor George Fergusson said: “I have accepted Mr Field’s resignation with regret. He has done an excellent job – which is not yet quite over. 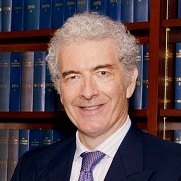 Rory Field was first appointed as Director of Public Prosecutions of Bermuda in 2007, and his subsequent reappointments caused some controversy. Shadow Attorney-General Michael Scott previously said, “The reappointment of Rory Field is a slap in the face to not just the qualified, capable Bermudians who have been overlooked, but to everyone who believes that Bermudians should come first in jobs and opportunities in our own country. After Mr Field’s last re-appointment in January 2015, a Cabinet Office spokesperson said, “Naturally, the Premier is disappointed that a suitably qualified Bermudian has not been appointed. “The Cabinet Office noted that concerns regarding this matter have been raised previously by the Premier. Mr Field’s bio on the Government website says, “He was called to the Bar in London in 1980 and is a member of the Middle Temple. He practices in London from 15 New Bridge Street Chambers [the Chambers of Pat Upward QC] and specialises in criminal prosecution and defence. He covers all areas of serious crime. “In 2003 – 2007 he was legal advisor on organized crime to the OSCE Mission to Serbia. As such he advised the Serbian Ministry of Justice, the Chief Prosecutor of Serbia and the Organised Crime Prosecutor of Serbia on how to fight organized crime and serious crime more effectively through legislative and institutional improvements. “He instigated several important developments in areas such as witness protection, hi-tec crime, asset confiscation and the development of international approaches to fighting cross border crime. “Prior to his experience in Belize, Rory was Treasurer of the Bar Human Rights Committee of England and Wales. As such, he undertook on his own two missions to Sierra Leone in 1998 and led a mission to Turkey in 1999. That is the beauty of Bermuda. When you believe opportunity knocks elsewhere, off you go. But whilst your here, do everything to ‘protect your own turf’. A bit cynical perhaps but that is the Bermudian reality in many cases. He has been insulted enough. He has effectively been shown the door. He has shown immense restraint und trying circumstances. Good luck with finding someone…local…with that level of experience and independence. Good luck Rory. Your commitment has been commendable. Interesting comment from the Governor, “he has done an excellent job.. Which is not quite over?? ” my guess is he means, the investigations are quite complete??? I am thinking it is not Ms Clarkes turn yet??? I expect it means simply that he doesn’t leave until February. Change your name do dependent thinker. That is what you are. Bermuda isn’t the only small country in the world. It’s possible to actually function properly. Utter foolishness!! Ms. Clarke is the NEXT deserving person. Too bad if you are against a Bermudian getting the job. Your thinking is CLOUDED! !This IS Bermuda. She is abundantly qualified and MOST deserving of this post. People from other countries need to accept that Bermudians are just as clever and just as intelligent. Qualified yes, except she did something that made her promotion untenable. I imagine that untenability still exists for her. This no secret, it was all revealed in an article, that laid out the whole fiasco in great detail at the time. Have you forgotten? If she was abundantly qualified she would have been offered the job, she ain’t got it! You were doing so well until your final line. Or will the best possible person get the job? What a conundrum. Let’s see her cv, and that of any other applicants. Maybe he has started the ball rolling here in Bermuda and documented it and will slip away. I guess he’s not worrying about gettinghis citizenship after all. DPP is a thankless job for a Bermudian, but even more so for a non Bermudian. I guess Mr. Field had enough of Bermudian in-grained corruption and being reviled by the community in which he lives and which he serves. I hope he has found an excellent opportunity elsewhere. He was well regarded by his equals. His experience and qualifications are outstanding. Bermuda’s loss. His, independence, integrity, professionalism and refusal to use underhanded tactics like some others are commendable. But always going to be a tough position in a small, sheltered employment type environment.